Before you know it the Big E will be here and our handmade crafts will be a big draw along with the yummy jams, jellies and sauces offered in the Grange Country Store. 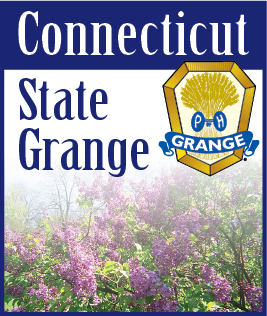 If your Grange has items for the store, please contact any CWA Committee member and arrangements will be made to get them. Your subordinate and Pomona Chairs have several pattern directions for popular items. Please ask them.